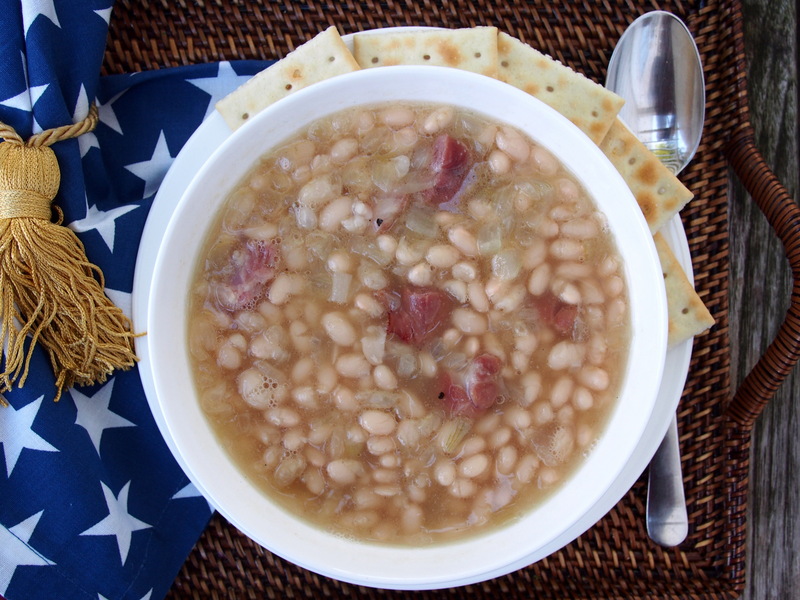 According to Saveur Magazine, his homely, bland bean soup has appeared every day on the menus of the Senate’s restaurants since early in the 19th century, and not even the Historical Office of the Senate can say for sure who originated it. On September 14, 1943, the Senate kitchens ran out of beans due to wartime rationing, and strings were pulled to return the soup to the menu the next day. That year a cup of the soup cost 10 cents, and a bowl cost 15 cents. This politically correct soup sends voters the message that their lawmakers are just simple, small-town folk. 1. Pick through the beans, discarding any small stones, then rinse under cold running water. Put the beans, ham hock and 2 quarts cold water into a medium, heavy-bottomed pot. Cover and bring to a boil over high heat. 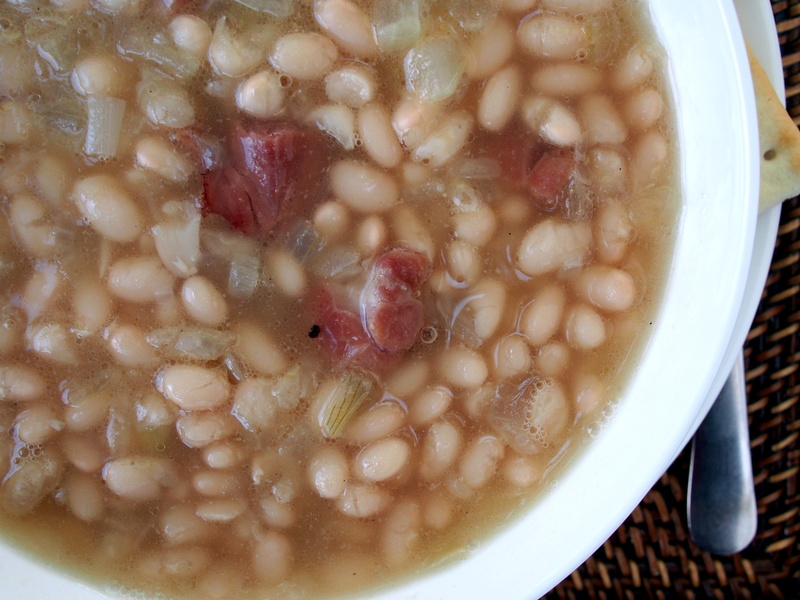 Uncover, reduce heat to medium-low and simmer until bean skins are tender and interiors are soft, about 1 hour. 2. Meanwhile, melt butter in a medium skillet over medium heat. Add onions and cook, stirring frequently with a wooden spoon, until soft and just beginning to brown, 3 to 5 minutes. Remove skillet from heat and set aside. 3. When beans are cooked, reduce heat to low and stir in the onions. Retrieve the ham hock form the pot and set aside until cool enough to handle. Remove and discard skin, bone and excess fat, dice meat and add to the soup. Mash some of the beans against the inside of the pot with the back of the spoon to make the soup a little thicker and a bit creamy, then season to taste with salt and pepper.